I found this travel pillow from Cabeau about 2 years ago, and since then I haven’t had a single thought of switching for another neck pillow while traveling! After long bus rides or long-haul flights, you quickly realize that it isn’t fun to sit still for several hours, and especially that it sure ain’t comfortable without a support for your neck. Sure, you can use your arms, hands, the backrest of the seat in front of you, or even your partner for a short while, but in the long run, you’ll likely get frustrated. 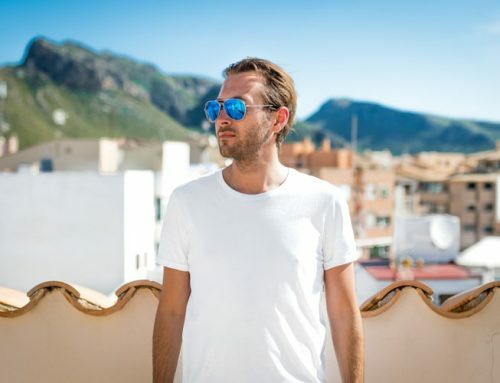 Luckily there are a few tricks you can pull, but in this particular article, I will focus on my pro tip of using a comfortable travel pillow, also known as a neck pillow. According to me, this is an essential travel gadget for all travelers! What is a Travel pillow/Neck Pillow? In short, a pillow that is specifically designed to support your neck. What makes it a travel pillow is normally just the fact that the particular neck pillow is designed to be easy to carry while traveling. Most travel pillows are ergonomically designed and aim to make it easier to sleep comfortably on the road. 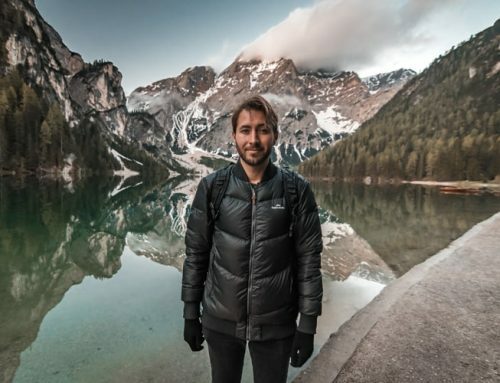 I’ve been traveling since 2010 and full-time since 2014. During this period I’ve tried and bought countless of travel pillows, both cheaper models, and premium neck pillows. But truth to be told, none of them have been durable and the majority have just been with me for 2-3 trips before the pillow itself became uncomfortable. To fly or jump on a bus for 8 hours or more without a travel pillow is not something I would recommend. Luckily I found the Cabeau Evolution Pillow about 2 years ago, and it has made my travels a lot more comfortable. In addition to that, it is also easy to carry and it’s even foldable, which makes it possible to squeeze into almost every kind of luggage/backpack. What makes it even better is the fact that I’ve been carrying this particular travel pillow from Cabeau to more than 50 countries, and it’s still standing strong. The pillowcase is washable, and the memory foam is still intact. Most of us have probably owned some kind of neck pillow. Most common are the inflatable ones, but also various kinds of fabric. What many travel pillows have in common is the sad fact that they break or lose its shape, which makes them practically useless. The lower price of 10-20 Euro doesn’t help either when you constantly have to buy a new one. With Cabeau’s neck pillow you’ll get a travel pillow that will adjust to your head and neck, thanks to its memory foam. With that said, this is a premium product and it comes with a higher price as the quality is way above average. Don’t worry though, I promise you that it’s a good investment and you’ll most likely not be disappointed. The higher price will also pay off in the long run since the Cabeau Evolution pillow is durable. Just look at mine that has been to 50 countries and used weekly for about 2 years time. I recommend this travel pillow to everyone who asks me for a good neck pillow to bring along on the trip or flight. Many of my friends and family have also become faithful users and every now and then I receive emails saying thank you for the nice recommendation. I’m in no way associated with Cabeau nor being paid to promote this either. 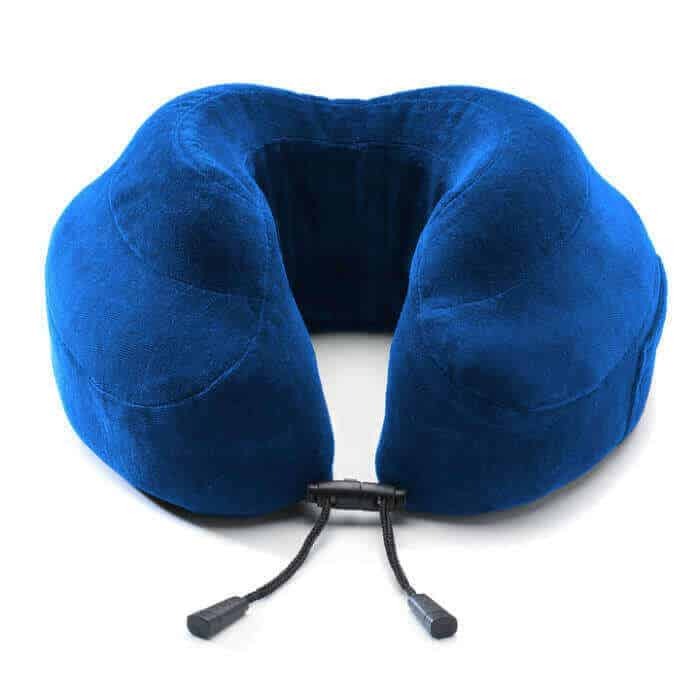 My recommendation is solely from the fact that I use this myself, and find it the best travel pillow I’ve come across for 7 years of traveling. Perhaps that’s also why it’s being sold on almost every major airport worldwide. Of course, as previously mentioned I have tried countless of other neck pillows. Cabeau Evolution is far from the only option out there, and if you’re happy with a budget version for 1-2 trips it’s still better than none. In recent time I’ve also seen some bulkier travel pillows, but still, I can’t think of any portable neck pillow that will beat the Cabeau Evolution when it comes to quality and functionality. A really good travel pillow will always be an appreciated present or Christmas gift for someone who likes to travel or often go on longer trips by bus or airplane. Expect a double thank you for the gift afterward when they’ve brought this travel pillow along on their first journey! Do you have any tips of other travel pillows that you’re using/have used? Feel free to share, and if you have some more questions about the neck pillow from Cabeau, leave a comment or send me an email! Thanks for your comment. It’s a great travel pillow. I have, but I think it could depend on which noise canceling headphones you have. I suggest that you visit a store where they sell the Cabeau Evolution, or that you order it online and try it at home. By the end of the day, we are all unique, so what works for someone, might feel uncomfortable for someone else. 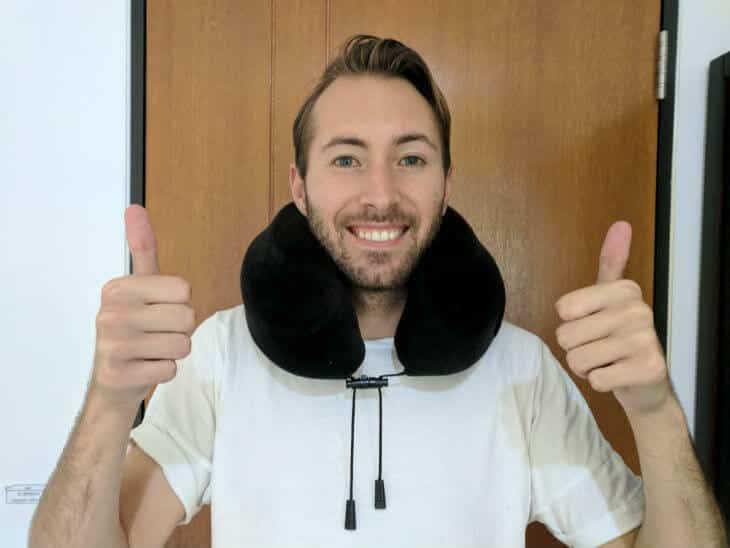 The travel pillow is very good though, so I can warmly recommend that you either try it in a store (they are most likely sold somewhere where you live) or buy them via let’s say Amazon.